Dirty Dutch figurehead Chuckie, label mate BetaTraxx and ex Guns N Roses guitarist Slash joined forces for a surprise performance at Ultra Music Festival Miami last Saturday. Chuckie invited the artists on to the stage during his set for a premiere of their never-heard-before collaborative track 'Rocktronica', with Slash playing the guitar and BetaTraxx on the piano. Chuckie and Slash have been working on the track since last summer before bringing BetaTraxx in to complete the lineup. Fusing live instrumentation with electronic production, the track forms a new musical hybrid. Chuckie himself describes the track as "more like a soundtrack instead of a club song" and "something totally different". 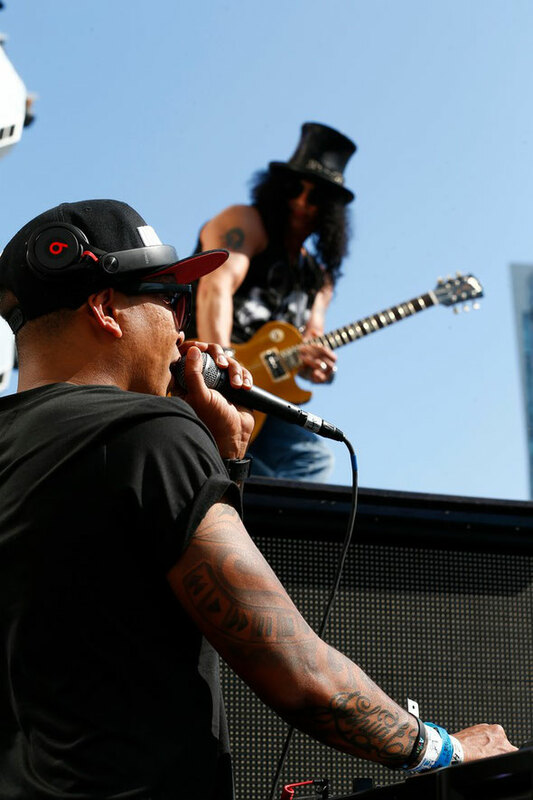 The appearance of Slash and BetaTraxx during his second main stage performance of the week stunned fans at Ultra and was greeted with a suitably riotous reaction. Chuckie now hopes that this collaboration will spawn a new sound and stated that he would love to "take it all over the world with Slash." Following the grand unveiling, the exclusive track has now been made available to download for free, so grab it now!